I have no idea who Mark McMorris is but his election policies of Infinite Air make more sense than Trump’s. Let’s lend him our ears. 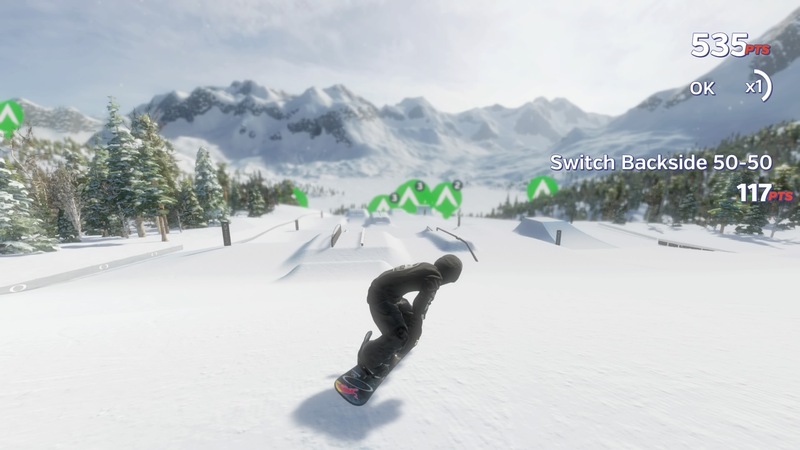 Okay, that intro was a stretch but, colour me intrigued when someone tells me Maximum Games are attempting a realistic snowboarding title. 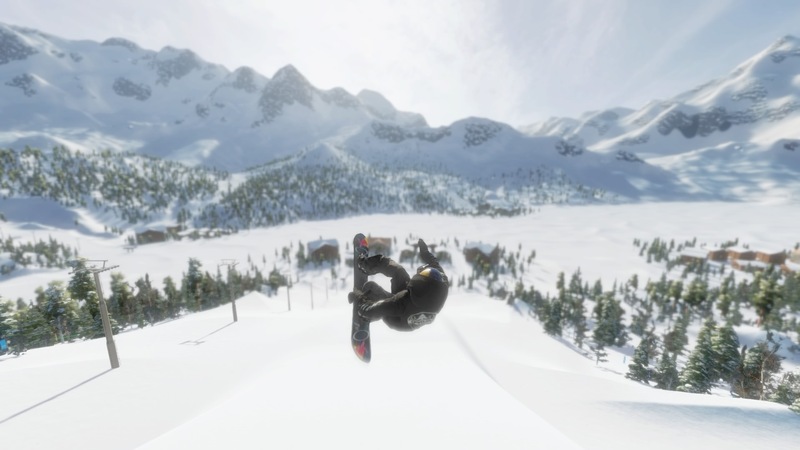 At face value, Infinite Air is certainly trying to ground itself in some reality. A brief tutorial showcases its influences with a control scheme straight from Skate and the mentality of finding lines, rather than combos. The world itself is fairly toned down with some brilliant white snow punctuated by trees, peaks and valleys. It’s an open world that allows you to drop in anywhere so there’s a degree of freedom that’s welcome. There’s a nice variety to the sloping landscape. You’re placed into a free ride by default which is where other riders populate their own lines and challenges. Wind rustles your rider’s gear in a strangely satisfying way and an increase in speed amplifies this as the world goes by. It’s a cohesive style that’s fairly chill. The licensed soundtrack seems well stocked and doesn’t feel out of place. 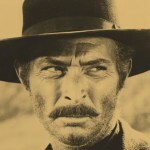 The chatter from Mr. McMorris will grate a little with his repeated dialogue but, aesthetically it’s sorted. Now, this is where the review gets interesting. The consensus I’ve seen derides the controls as fiddly and almost unworkable. I’m inclined to agree but, with more time on board, I’m starting to feel a little more comfortable with it. I certainly still have issues with the left stick triggering a revert when I’m just asking for a simple turn. A basic move like that shouldn’t require a bit of nuance but you’ll discover you might scrub some speed off when you’re aiming to hit a ramp or feature. It’s troubling as a sense of flow never quite materialises. They approximate Skate’s trick controls well enough until you’re asked to get specific. Spins and ollies are easily attainable but, despite a comprehensive trick list with instructions, I struggle. It doesn’t feel like a question of dexterity but more that the controls lack some fine tuning. 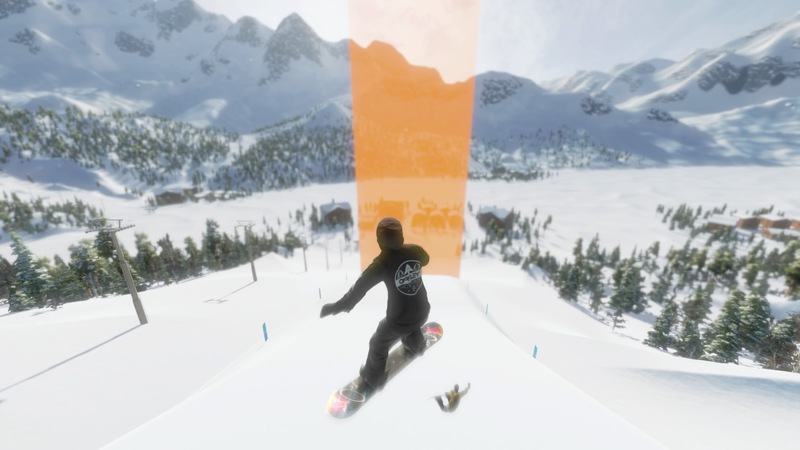 This is by far Infinite Air‘s largest obstacle and, as a player, you’ll find frustration. It’s one of those occasions where I’ve decided explicitly not to rush to form an opinion on this and, after a decent session on it, I’ve found myself improving. 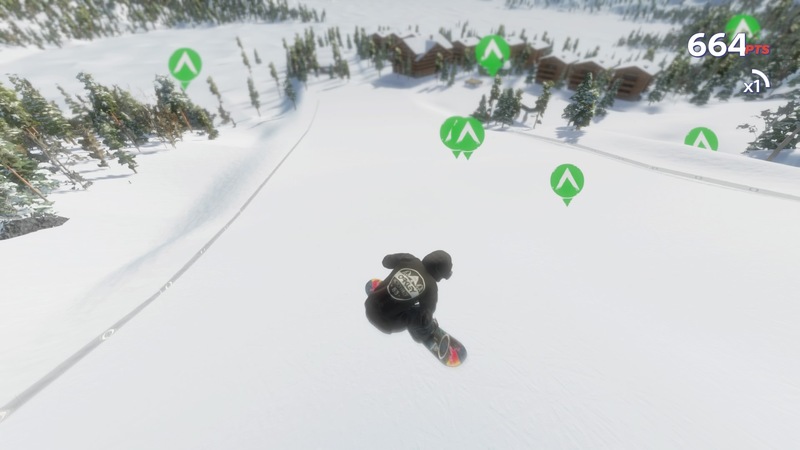 I’ve hit the circuit mode a little harder with it’s ready-made areas and events and, whilst nailing required tricks still feel like chance, you can at least gain a foothold if you just want to head downhill and make ‘something’ happen. I can’t really master this. It’s not precise enough and it’ll leave a few people disappointed. In spite of these issues, there are things to admire in Infinite Air. There’s a strong social aspect with a world editor on hand for you to sculpt a landscape of your choice. It’s a simple interface similar to the ones we see in The Golf Club and the old Tony Hawk games. You can get creative and people will enjoy making their own areas to carve through. Other players’ lines are out in the world for you to admire and you can encounter other riders out in Live Ride. Without doubt, it’s Infinite Air‘s strongest card and it’s played very well. Getting a crew together and casually hitting tricks provides some enjoyment and I’ve found the competitive modes fun, even if the trick system devolves into a lottery. There’s some technical hitches which become problematic. Sometimes there’s a delay when it prompts you to reset. You can respawn right where you last bailed, putting a halt to your run entirely. With no method to really push off, you’re left out of luck from a dead stop. You might also find yourself being unable to restart as your rider fails to finish their bail animation. Again, it goes back to flow and this game struggles to maintain it. When you’re imitating systems that worked so well with others, you draw the kind of comparisons which your game can live or die by. As I persevered with Infinite Air, I found a game that ultimately couldn’t match up and the gulf kept extending. It made me appreciate how much effort must be applied to get a stick-based trick system so correct and Maximum Games just couldn’t find the extra fidelity to make the landing. It’s a pity as the social aspect and general structure on offer provide something more grounded than SSX. + More grounded in reality than its competitors. + A strong social aspect. + Chilled aesthetics. + Comprehensive track editor. - Clumsy controls that aren't precise enough for specific tricks. - No real sense of flow. - Buggy at release. - McMorris' chatter tends to repeat too often. 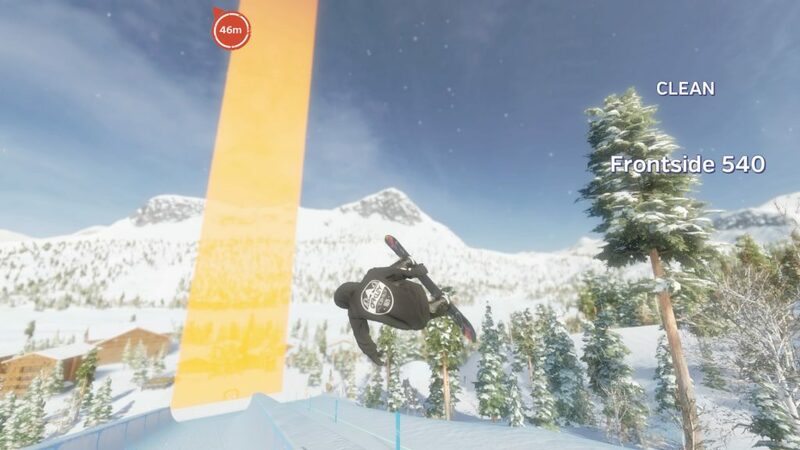 Mark McMorris Infinite Air is a strange beast with strong social elements and great ideas that are hampered by a clumsy control scheme. It's something that may be tightened with time and practice but I never got the sense this could truly be mastered. It's a sparse genre so boarders might decide to take the plunge. I've had some fun with this but it's outweighed by moments of genuine grief. Careful.